Perfect for to help Mom feel better when she is under the weather! 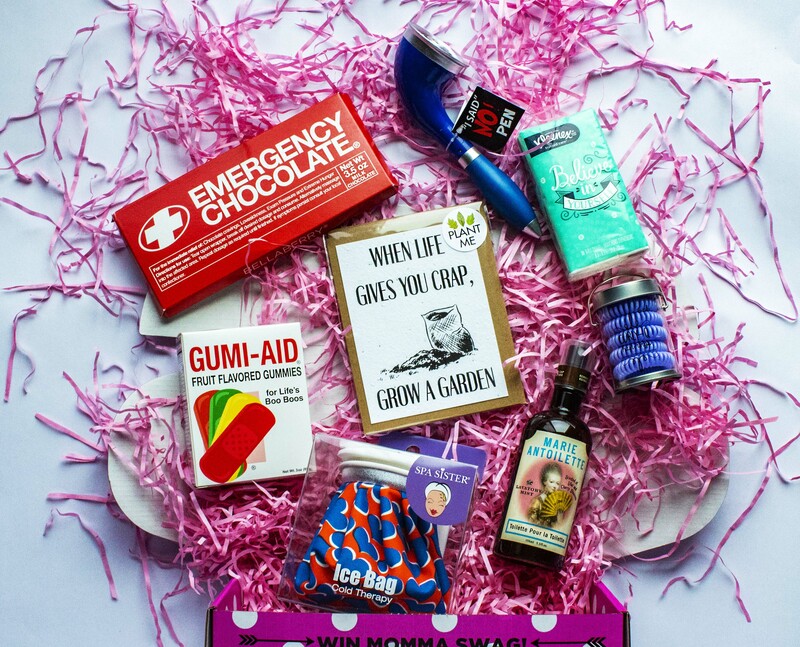 Box includes: reusable ice bag, emergency chocolate bar, gummy band aids, Kleenex tissue, I Said No pen, hair coils, bathroom spray, and plantable card. Box will ship within 3 business days of order.